You are playing with other mods like Buildcraft and don't want to have your Overworld ruined by all these Quarry holes? Or you only want a new World to test stuff in? 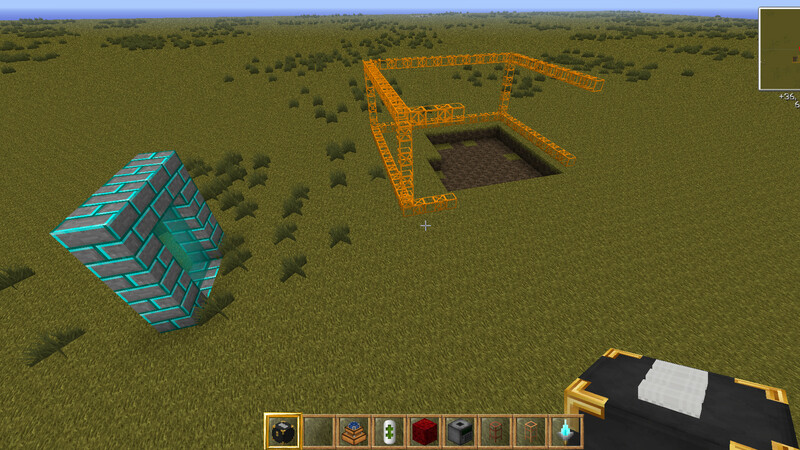 This Mod adds a complete new Dimension, especially for Mining, but you can do whatever you want to do in it. Just craft some Stone Bricks together with a Pickaxe and you get a special kind of Bricks. They are a little harder to break than normal Stone Bricks and they open you up the ability to visit a new world, the Mining World. Just build a five blocks high and four blocks wide wall with a three by two hole in the middle (same shape as a Nether Portal). Then you need a new Tool to actually create the Portal. Craft a few Stone Bricks, a Flint and Steel and a Stick together to get the Portal Igniter (Portal Multitool). Then right-click the Portal Frames with it and watch, what happens.